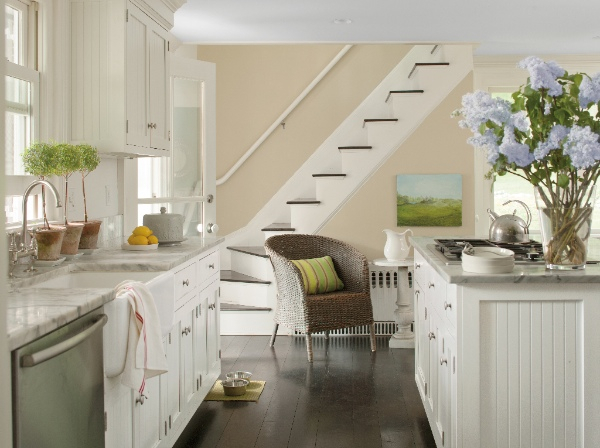 There is no better way to make-over a tired kitchen than with Benjamin Moore's endless colour palette and our outstanding Advance Alkyd paint that gives a flawless and outstanding, durable finish. 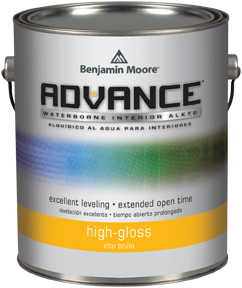 Advance Alkyd is a water-based paint for woodwork, furniture and cabinets that cures to an exceptionally tough, hardwearing finish, that can withstand the knocks that are inevitable in a busy kitchen. It offers the performance and application characteristics of a traditional solvent based paint and can be sprayed or hand-painted, having fantastic flow and levelling properties, to give a flawless finish. However, being water-based, it has none of the down-sides of solvent-based paints such as a strong smell and difficult clean up. 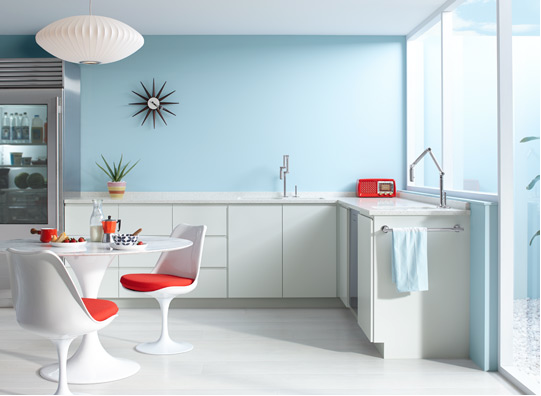 As with every paint in our range, Advance Alkyd is available in all 3,500 of our stunning colours, so there is no limit to how creative you can be in the kitchen. 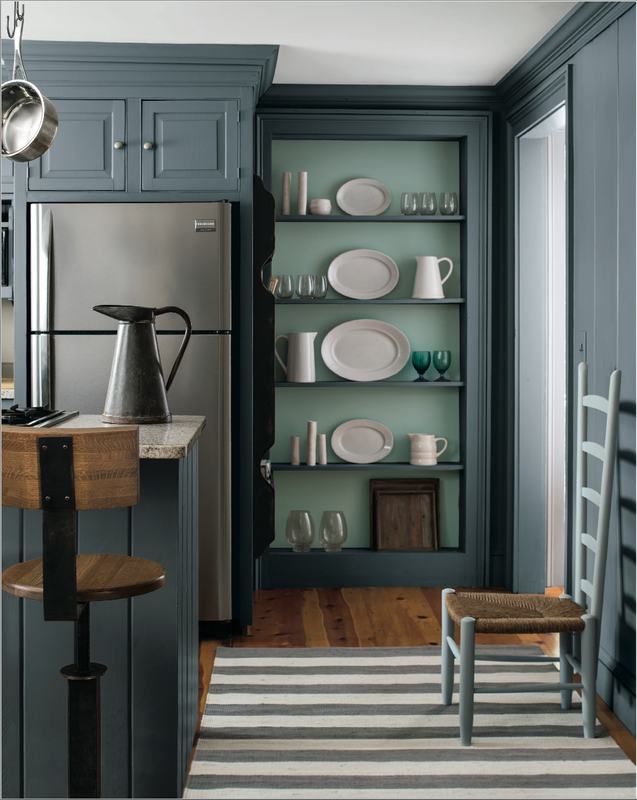 Stunning blues, Caribbean Mist (2061-70) and Smoke (2122-40), are layered on the walls alongside Ice Mist (2123-70) on the cabinets. This farmhouse kitchen pairs warm and sophisticated Clay Beige (OC-11) on the walls with White Dove OC-17 on the cabinets. Seahorse (2028-70) is used on the ceiling alongside Antique Jade (465) of the cabinets to create a stunning, soft, layering of greens with natural colours. 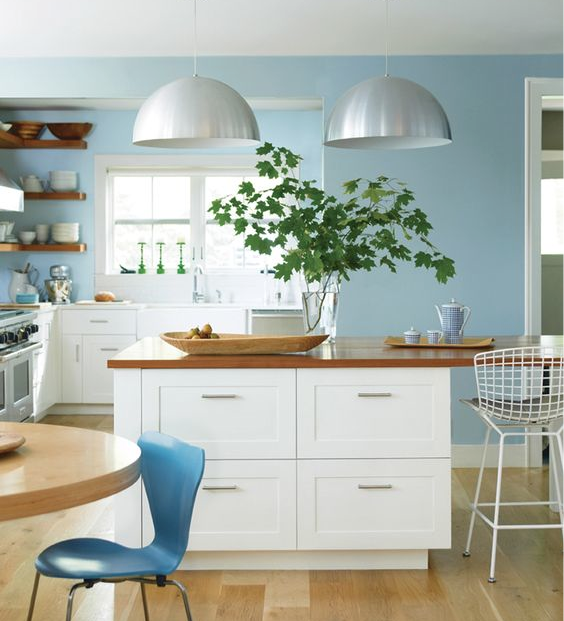 High gloss Patriotic White (2135-70) is used with Blue Hydrangea (2062-60) to create this clean modern look. 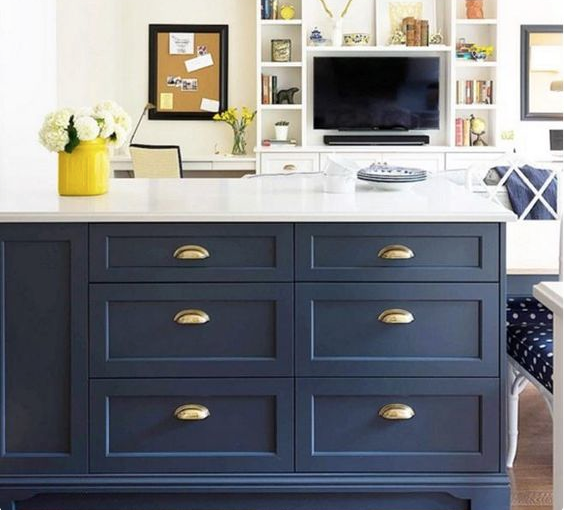 A colour pop of Wythe Blue HC-143 on the back of the shelves compliments Wolf Gray 2127-40 use on the cabinets and panelling. Renowned North American Designer Candice Olson in conversation with Sharon Grech about up-dating kitchen cabinets with Advance Alkyd. 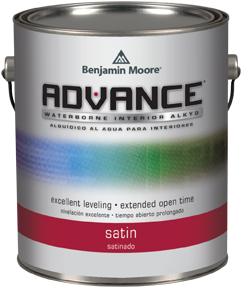 Read some of our fantastic product reviews from Painters who have used Advance Alkyd here.